Shoe addict? You'll be in an instant with these beauties! 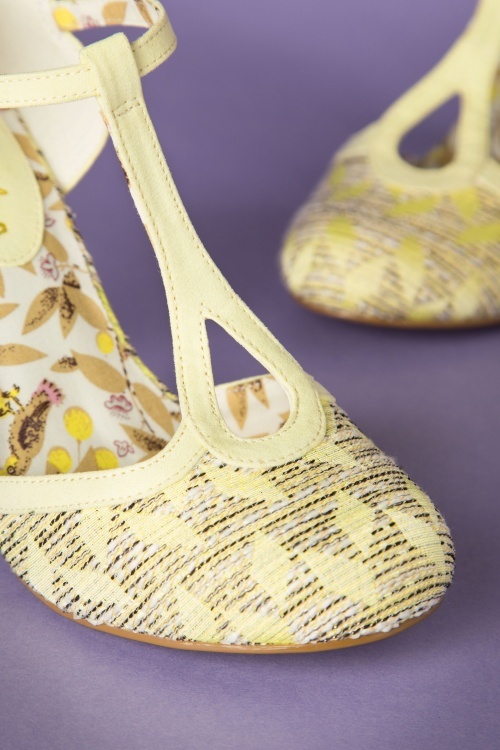 Made from a striped fabric in tweed look in different shades of yellow and a subtle metallic fibre. 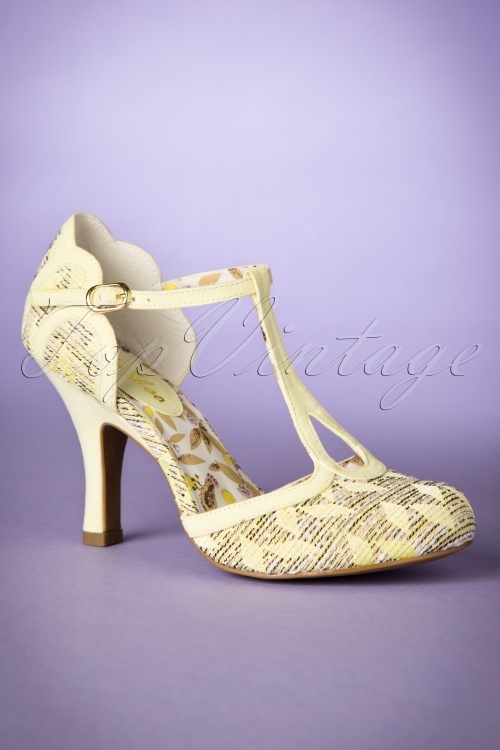 Finished off with t-strap and drop shaped cutout, scalloped detail along the side and an elegant suedine heel in pastel yellow for that extra vintage touch. 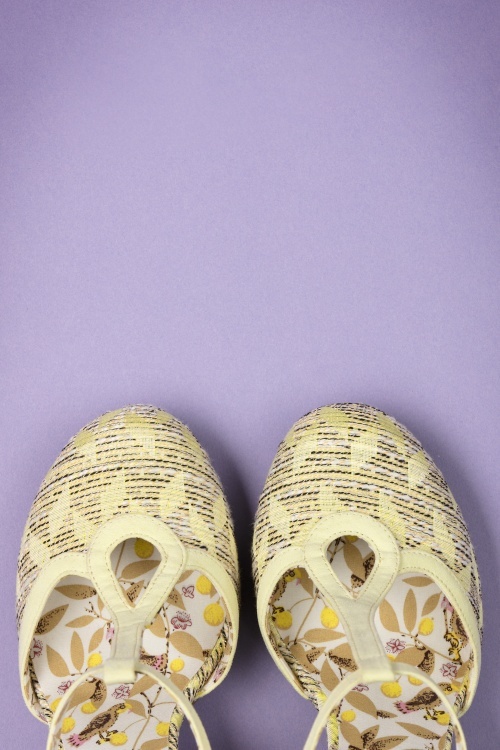 Besides the fact that they look great, the padded sole also ensures a comfy fit for hours ;) We simply adore these shoes, don't you?! Die Schuhe sind wunderschön, aber leider sehr hoch. Einfach zu hoch für mich um sicher darin zu gehen. Daher leider zurück.